Enjoy our nylon canvas furnishing fabric selection. Discover our nylon canvas in brown. It is perfect for bag creation. Enjoy our nylon canvas furnishing fabric selection. Discover our nylon canvas in orange. It is perfect for bag creation. Enjoy our nylon canvas furnishing fabric selection. Discover our nylon canvas in plum. It is perfect for bag creation. Enjoy our nylon canvas furnishing fabric selection. Discover our nylon canvas in beige. It is perfect for bag creation. Nylon is a synthetic fabric that did not exist before World War II. This great substitute to cotton and silk was first used for hairbrushes and women nylon stockings. Today, nylon is an amazing garment that you can wash and wear it without ironing. Our nylon canvas fabric can be easily dyed. You will love it because it is water resistant, durable and abrasions resistant. You wish to create your dream bag out of this amazing material ? Discover our wide range of canvas upholstery fabrics. High quality, flexible and durable, you will love our nylon canvas fabric. 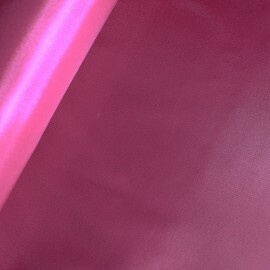 This thermoplastic silky material is strong and is perfect for creating bags and cushions and upholstery pieces. Ma Petite Mercerie will become your favorite place to shop. Do you want to sew a large piece? Do you prefer to personalize a small one? 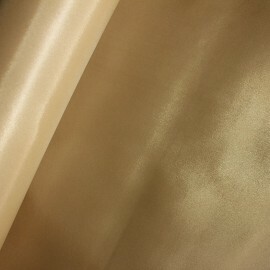 Your online fabric store has a wide variety of furnishing nylon fabrics, upholstery supplies, apparel fabrics and more. 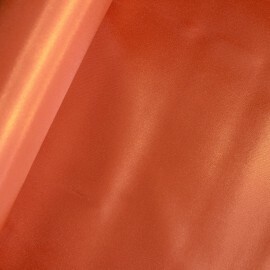 Our heavy duty nylon canvas fabric comes in lots of colors: black, brown, pink, orange and beige. Plus, nylon ribbons, and nylon bag zippers are available online. Also, you can purchase our nylon canvas fabric by the meter, by the yard or less (10cm is our minimum order for plain fabrics). You can ask for swatches prior to ordering the nylon canvas fabric you want. Discover as well our Jouy canvas fabric. How to sew nylon canvas fabric ? Our nylon canvas fabric is easy to handle. Supple and strong, you can easily sew it with a 70 needle and some polyester threads. Our nylon durable canvas is made of synthetic material and is heavyweight. You want to create perfect reusable bag, zip-top bag, bucket bag, pouch or cross body bag ? Nylon canvas is the furnishing fabric you need. Also, if you look for a vegan and cruelty-free alternative to leather, sew non-leather handbag by matching our furnishing faux suede fabrics with our nylon canvas fabrics. 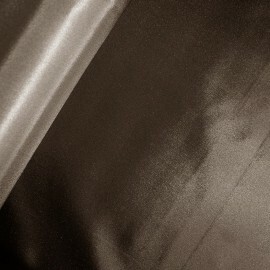 Furthermore, we offer high quality canvas fabrics perfect for making durable and original pieces. Give your garden a makeover and redo your deck chair by mixing a striped deck chair canvas fabric with our nylon canvas. Create a nice parasol or a sunshade thanks to our outdoor canvas fabric. Add small cushions to your outdoor sofa or loveseat by sewing an original polyester canvas. Make a unique outdoor pouf armchair and fill it in with micro bead filler or foam cushion. Finally, do not hesitate to mix and match any of our nylon canvas fabric with other furnishing fabrics: jacquard fabric, faux leather, oilcloth, deck chair fabric, silk fabric, linen upholstery canvas and more: for instance, use our Jouy percale or cotton-cloth fabric and sew a multi-compartment satchel, a fold over clutch and more.